Death begins in the hands of a madman. Mural, driven by love and loss, starves to reclaim the gift he foolishly lost more than two centuries ago and will murder all in his way to get it back. Orphaned in the Great Depression, Randy lives as the second reaper in the lineage of Death, fighting that curse at every turn, desperately trying to salvage any vestige of humanity left within him. Yet with each soul he takes, he loses a bit of his own. As a runaway, George knows how to retreat, yet he cannot avoid becoming the third in line to collect souls. Unable to run any longer, George must finally face his fear and learn to use Death against an indestructible killer before all souls are lost. Death comes to us all... except Death himself. 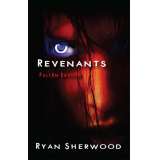 Author, Ryan Sherwood, delves into the mysteries of life and Death. Back in history, at the time of the Revolutionary war in America, a young boy witnesses his mother's and sister's death. Throughout life, he is consumed by thoughts of revenge, which slowly dissolves his sense of humanity. His one link to normal life, his wife, Veronica, upsets any remaining balance when she leaves him for another man. Twisted with hatred, Mural embarks upon a bloody path; seeking out adulterous women and brutally murdering them. A demon is waiting in the wings for a moment of weakness and when Veronica is mistakenly killed; Mural offers his life to the demon in exchange for hers, with little understanding that he is condemning his soul to collect the dead forever. Years pass and when Mural finally realises that he cannot continue to live without his Veronica, he willingly relinquishes the 'Gift' that is Death to an unsuspecting man named Randy. But Mural is not content and decides that he wants the 'Gift' back - Randy is on the run from both the horror within and the dangerous undead that will seemingly stop at nothing to reclaim what he feels is rightfully his. When Randy meets George, a young college student with serious childhood issues, he feels that he has found a kindred spirit, but their friendship unwittingly draws George into Mural's line of sight and the Demon only looks on in amusement. The question is: will Mural win back his chance to wreak havoc on the world's living and dying?